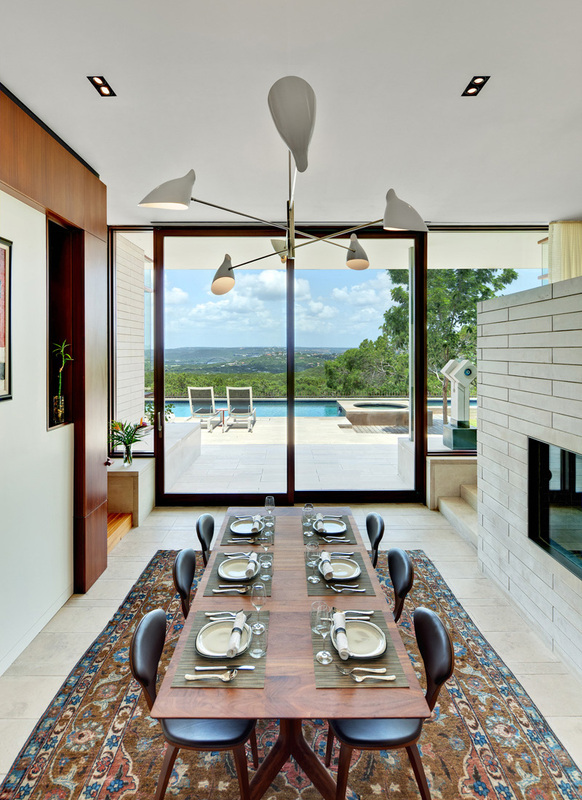 Despite some challenges, the designer was able to use it positive and add it to the appeal of the home. We can never deny the fact that even in designing and building a home, the homeowners as well as the designers also encounter conflicts. Many also say that good architecture occurs at the size of conflicts. Well, today we will feature a modern home that was achieved despite certain conflicts that the designer and the homeowners encountered. 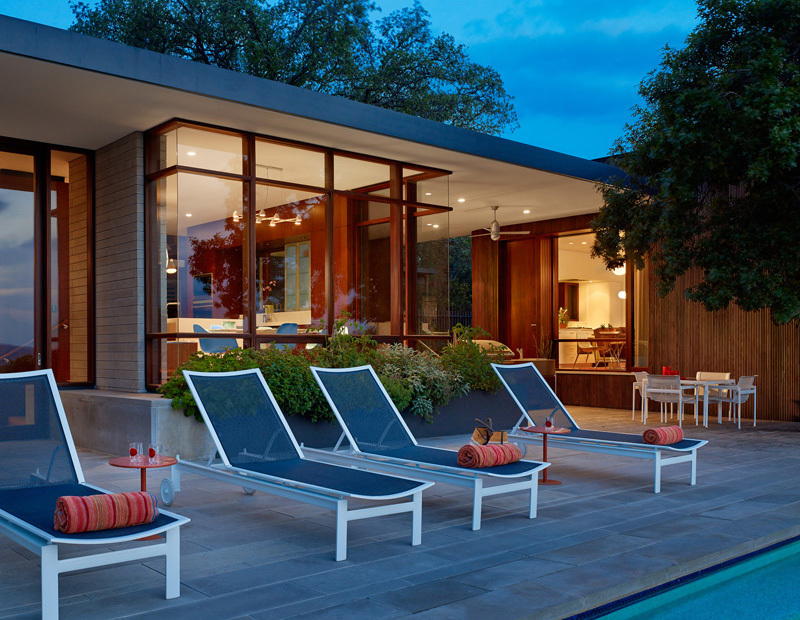 Spotted in Austin, Texas is the Lakeview Residence that is capable of emphasizing the view in the area. 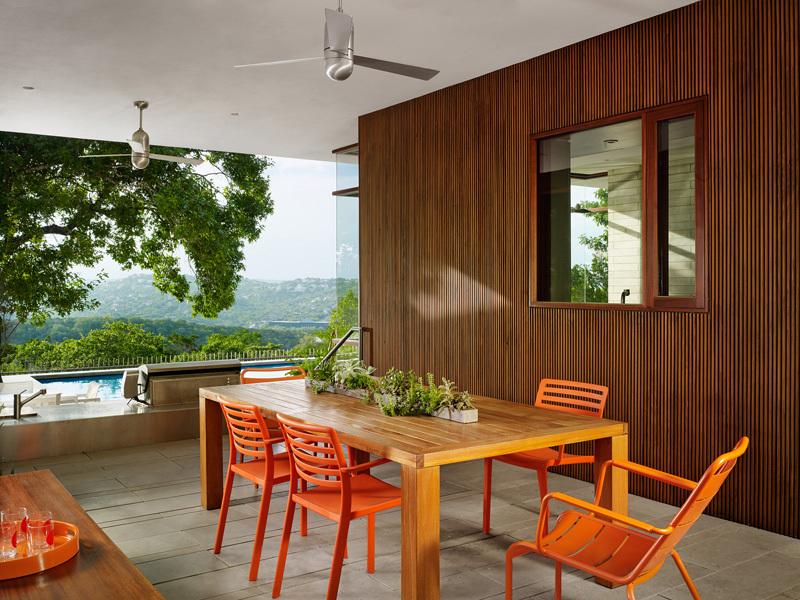 It also features a dynamic spatial sequence while at the same time creating an abstract backdrop for the view. This new house actually exposes the conflicts which have provided the direction for the design. Now let us take a look and find out the challenges in the design as well as in the location of this Lakeview Residence through the images below. Unique feature: This house project uniquely exposes its conflicts which provides the direction for the amazing design as well. The location has the most important role in making the house stand out among the other houses in the area. You may see how the combination of light and dark colors, rough and smooth textures, lines and patterns are highlighted in the exterior. 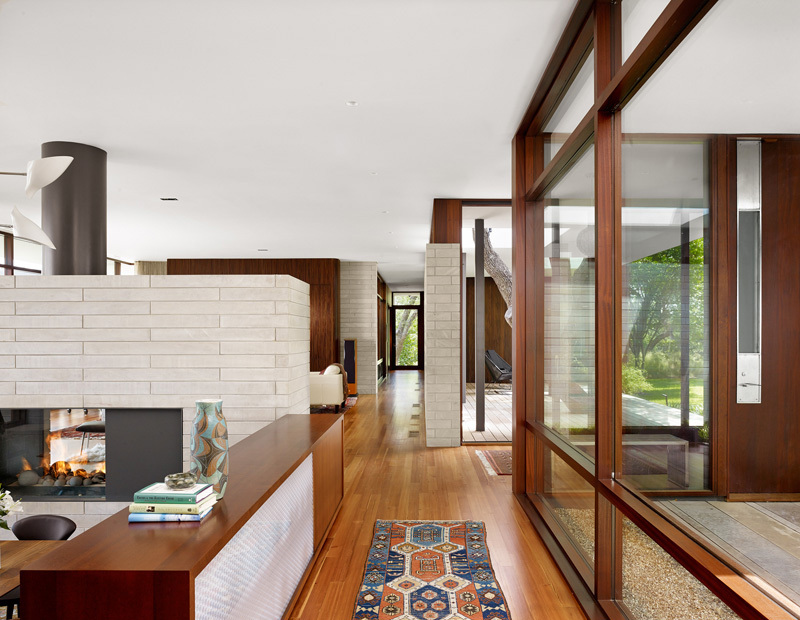 See how these pathways look inviting for the visitors as well as the client to explore the interiors and other parts of the exterior. 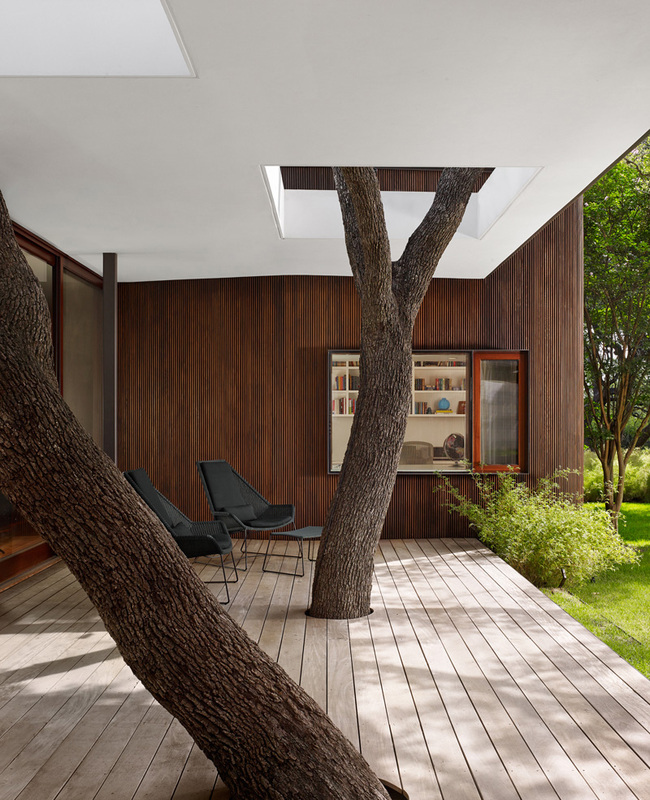 The trees and the beautiful landscape underline the essence of nature in the house. 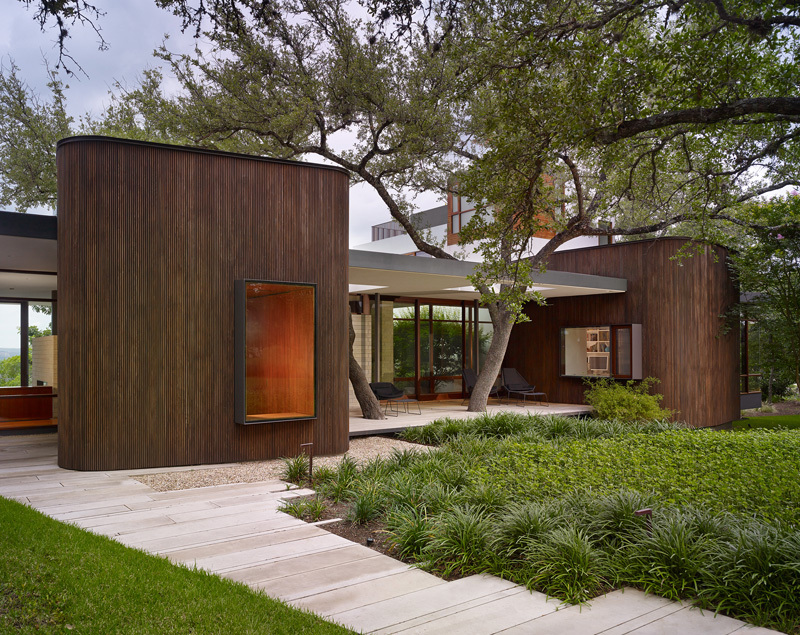 The light colored walls as well as the pathway complements with the green trees and wooden materials in the building. We can never deny the fact that intimacy stands out in the entrance area as well as the sequential patterns of the limestone, vertical cypress and verdant planting here. While in the living space, you can see the consistent utilization of the dark and light colors from the paint on the walls and ceilings as well as the furniture and accessories showcased here. 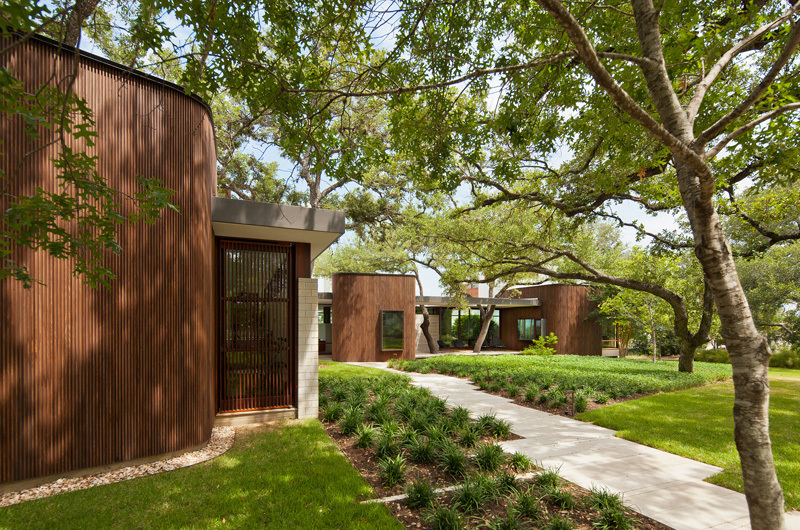 As we can see the pervasive ceiling plane provides the sinuous oaks passing through the foundation across the roots. 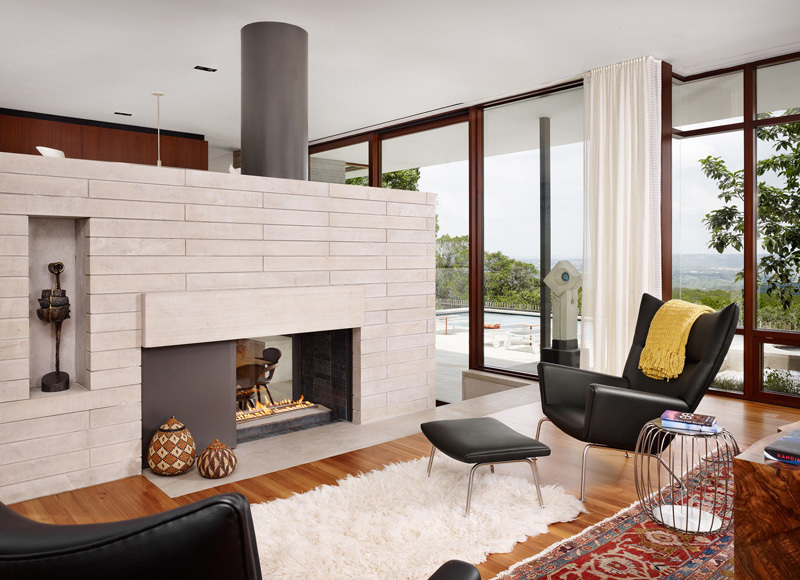 The expansive and intimate view is always present in every area of the house. 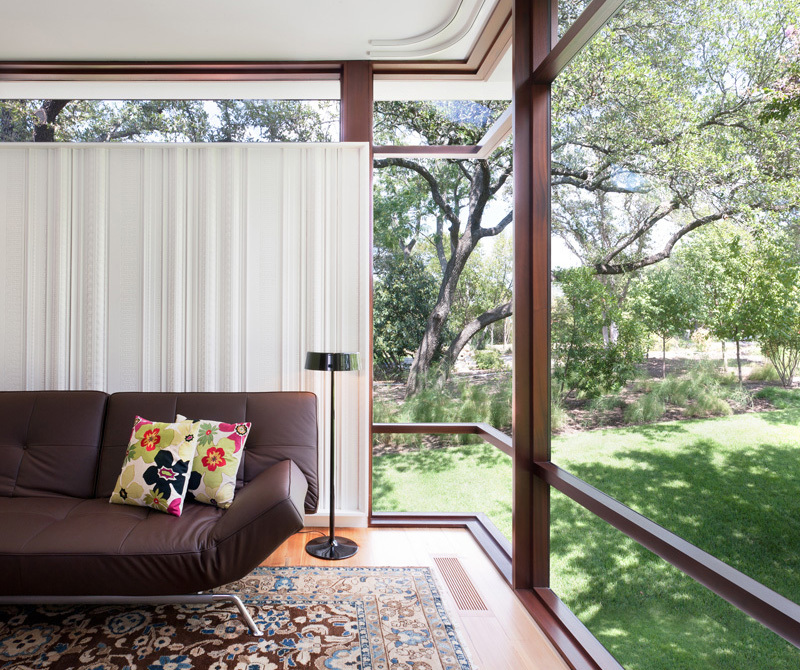 This comfortable living space is a great opportunity for the client to take the full advantage of the landscape and trees outside. Here’s the tree canopy that allows the house to provide its additional shading and it perfectly placed the skylights that bring diffused daylight into the home. It also helps a lot in reducing the reliance on electric lighting. Sustainable features is also emphasized in this area which includes a geothermal HVAC systems, a photovoltaic array, reflective TPO roofing, cellular foam insulation, tankless water heaters and FSC certified and reclaimed woods throughout the building. 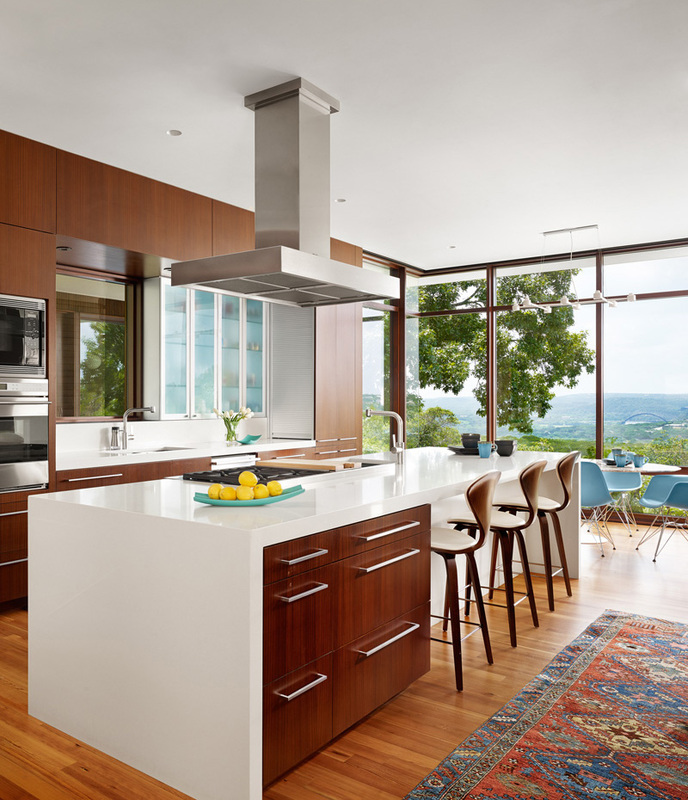 Here’s one example of a kitchen where the designer simultaneously combine the modern and intimate as well as the expansive and cozy features resulting into a beautiful design. We can definitely see that even in the bathroom the designer consistently used the elements of modern, art and architecture. 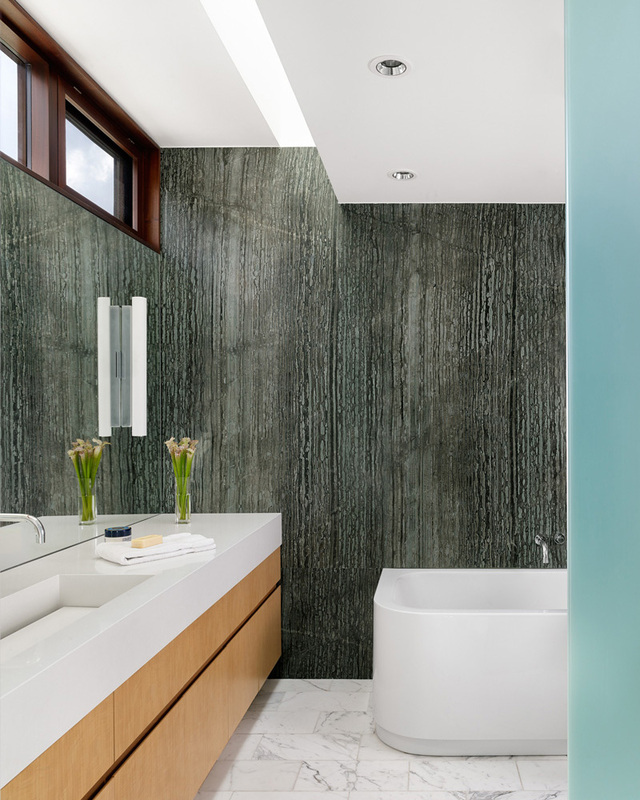 The rough texture of the wall and the floor tiles complements with the smooth texture of the mirror in the powder area. 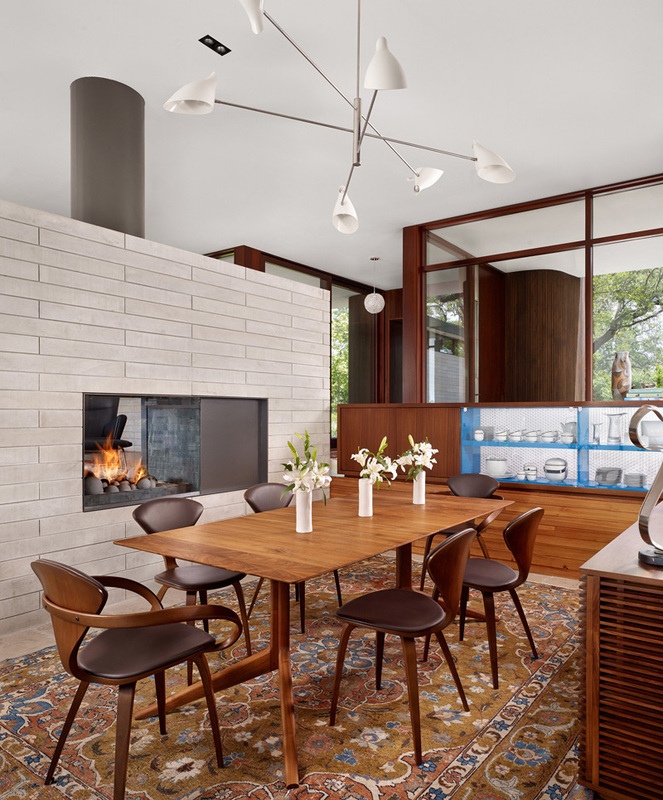 Let us take a look at the kinds and types of furniture, accessories, and paintings that offers the points of stasis to the compelling and all-prevailing views. In the patio area, one can see the big trees that provide a good view of the garden. Look at that tree that peeps through the roof, isn’t it nice? 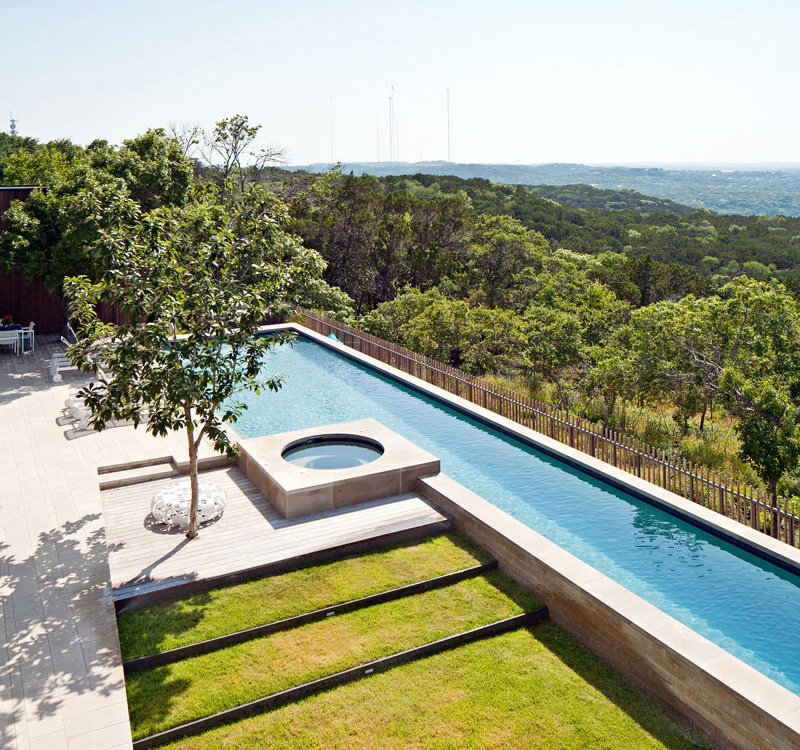 If you are looking for the quietest and stress free space in the house, the pool area is the best area where the panoramic views are revealed perfectly. 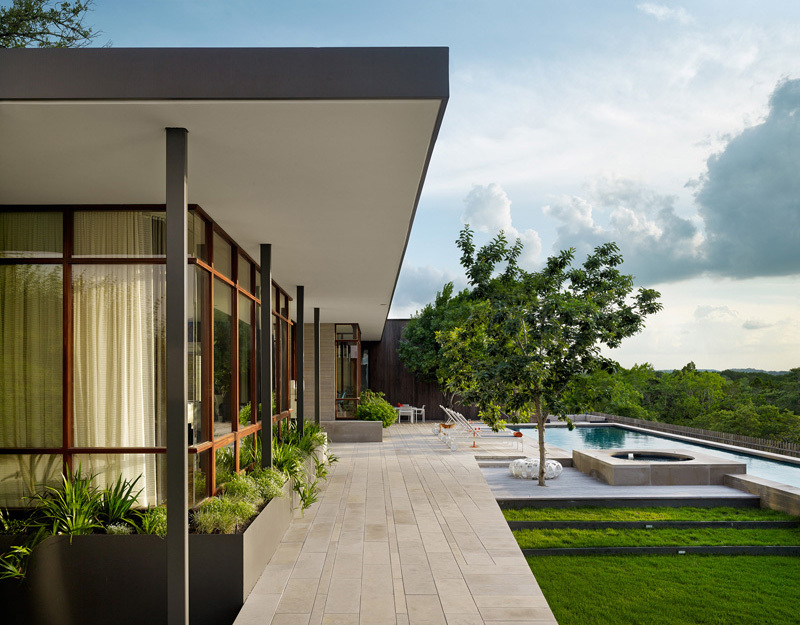 From the bird’s eye view, the extraordinary shape of this huge swimming pool as well as the trees in the surroundings can effectively inform the client of its assured comfort and charm especially in the exterior of the house. During family celebrations, the members of the family can actively utilize the pool area as well as the intimate retreat of the surroundings. As we have observed the different areas of the house, we can see how the Alterstudio Architecture successfully overcome the challenges involved in its building design and concept. 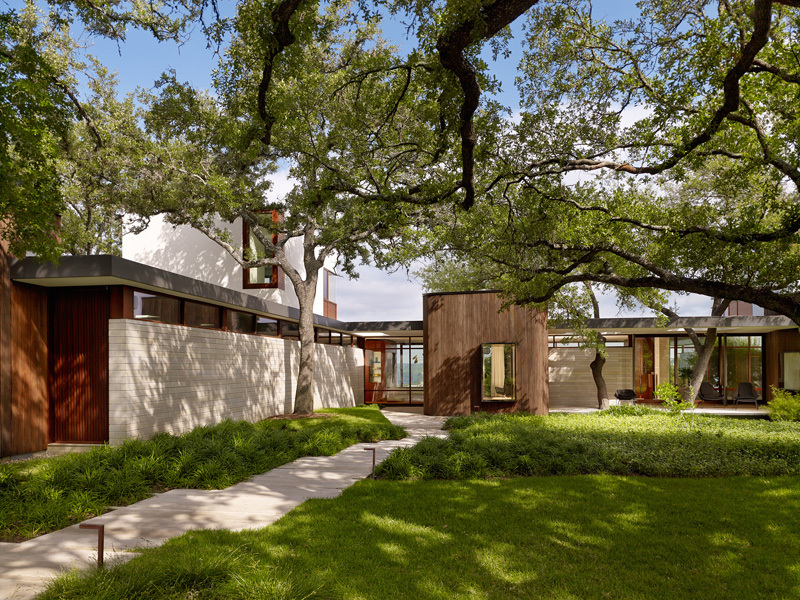 In fact the trees, view and the building interact with each other. Personally, I like the idea of how the designer resolves the conflict and make it a unique feature of the house instead. 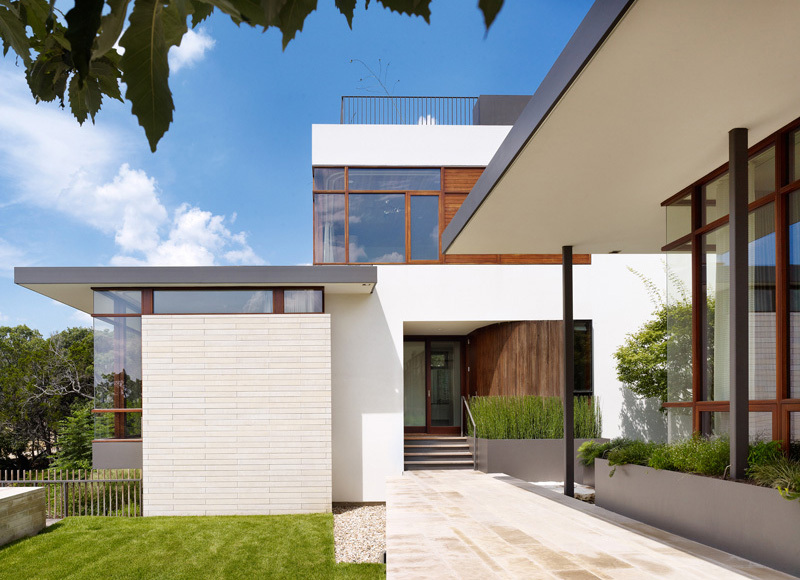 This house can really highlight the essence of the nature in the building design and concept. I am pretty sure that you also learned something new today that may inspire you to create a difference in your own house in the future.